They say behind every successful man, there is a woman… What if you look at it from a woman’s perspective, behind every successful woman—is there a supportive man? 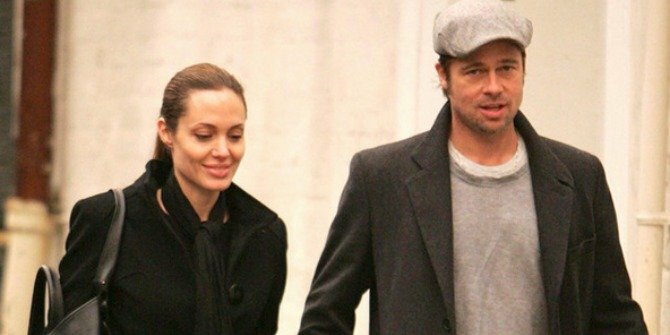 Brad Pitt’s tender and touching letter about Angelina Jolie is a must read! It takes a very supportive man to be behind a woman who was brave enough to go through a double mastectomy. And Brad Pitt sure seems like a great fit for Angelina Jolie. With so many distractions in Hollywood, the 9-year Brad Pitt love is a milestone! There is a supposed letter written by Brad Pitt about his challenging relationship with Angelina Jolie. It has not been verified and is probably a hoax but we are publishing it because regardless of origin, there is much we can learn from this beautiful message. Ladies, share this with your hubbies. My wife got sick. She was constantly nervous because of problems at work, personal life, her failures and problems with children. She had lost 30 pounds and weighed about 90 pounds in her 35 years. She got very skinny and was constantly crying. She was not (a) happy woman. She had suffered from continuing headaches, heart pain and jammed nerves in her back and ribs. She did not sleep well, falling asleep only in the morning; got tired very quickly during the day. Our relationship was on the verge of break up. Her beauty was leaving her somewhere, she had bags under her eyes, she was poking her head, and stopped taking care of herself. She refused films and rejected any roles. I lost hope and thought that we’ll get divorced soon… But then I decided to act. After all I’ve got the most beautiful woman on the earth. She is the ideal of more than half of men and women on earth, and I was the one allowed to fall asleep next to her and to hug her shoulders. I began to pepper her with flowers, kisses and compliments. I surprised her and pleased her every minute. I gave her lots of gifts and lived just for her. I spoke in public only about her. I incorporated all themes in her direction. I praised her in front of our mutual friends and her own. You won’t believe, but she has blossomed. She became even better than before. She gained weight, was no longer nervous and she loved me even more than ever. I had no clue that she CAN love that much. Love and marriage on the outside seems to be a glorious ride but everyone who has been married tells us—it is a bumpy one…beware. But they do say love cures all. Deciding to love and stick through it during all kinds of obstacles is not an easy road. However, the rewards are amazing. Make it a choice to go out of your way to be nice to your spouse. This unexpected gesture of love will trigger something in him or her and make her respond to you the same way! The Brad Pitt love story is inspiring on the surface–we won’t really know what celebrities have to go through. Their lives are not anything like ours. However we can learn a thing or two about love from the above letter (regardless of who wrote it). Let us know about your thoughts on Brad Pitt’s love letter to Angelina Jolie, in the Comment box below.